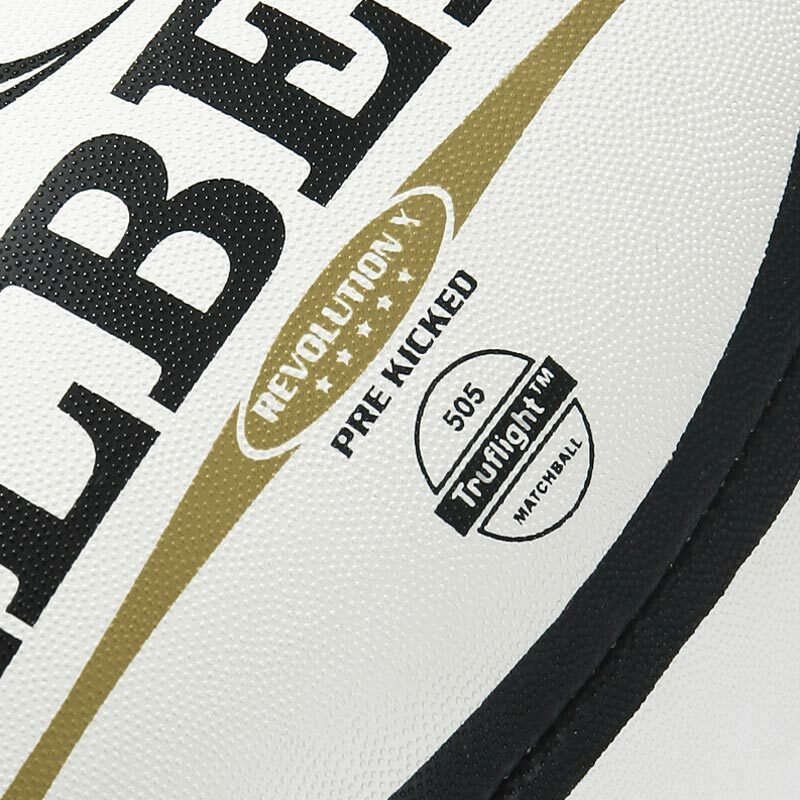 The Gilbert ® Revolution X Rugby Ball - a striking white, black and gold design, with signature Gilbert Ellipse branding, the Revolution X match ball is ready for kick-off straight from the box and to grace rugby fields around the world. Level of play - senior/club rugby. Our club has been using the Gilbert Revolution ball for a couple of seasons now & find that they perfect for us. They are a great match day ball & are very resilient to tough conditions. New order for next season going in soon. Very satisified with the Gilbert Revolution ball performance and at a great price. 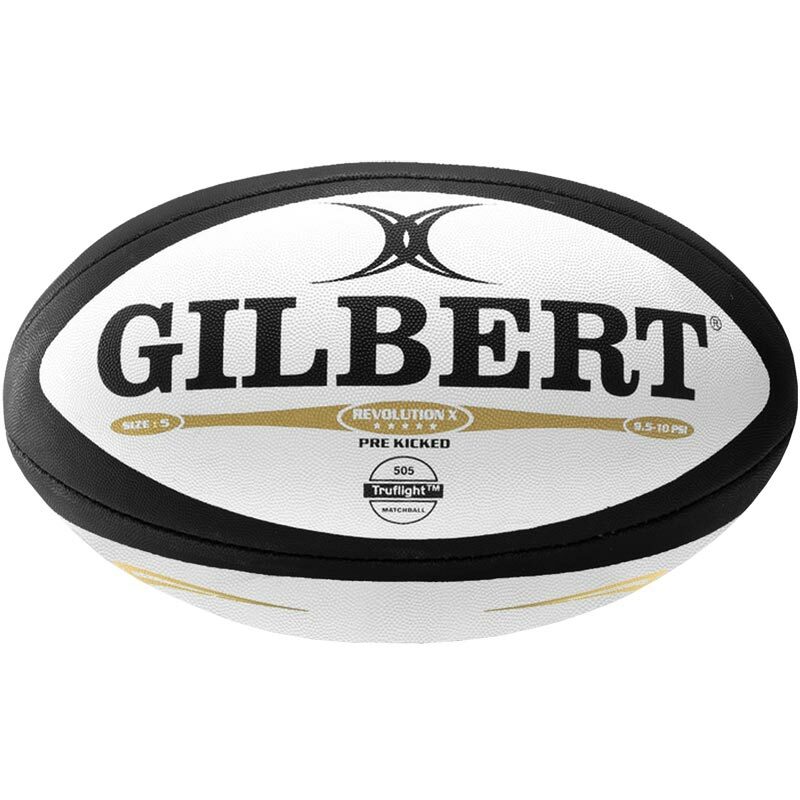 I have been donating the Gilbert Revolution X match rugby ball to my club for the past few years and I can honestly say theythe club is very saisfied with not only the performance of the ball but also its durability. Bought a few of these for the rugby club - absolutely brilliant. Great grip, doesn’t lose pressure compared to others I’ve used and looks the part. Would recommend to anyone. Your response to my orders is always excellent. The delivery is super fast, often next day. Have no hesitation in recommending Newitts. 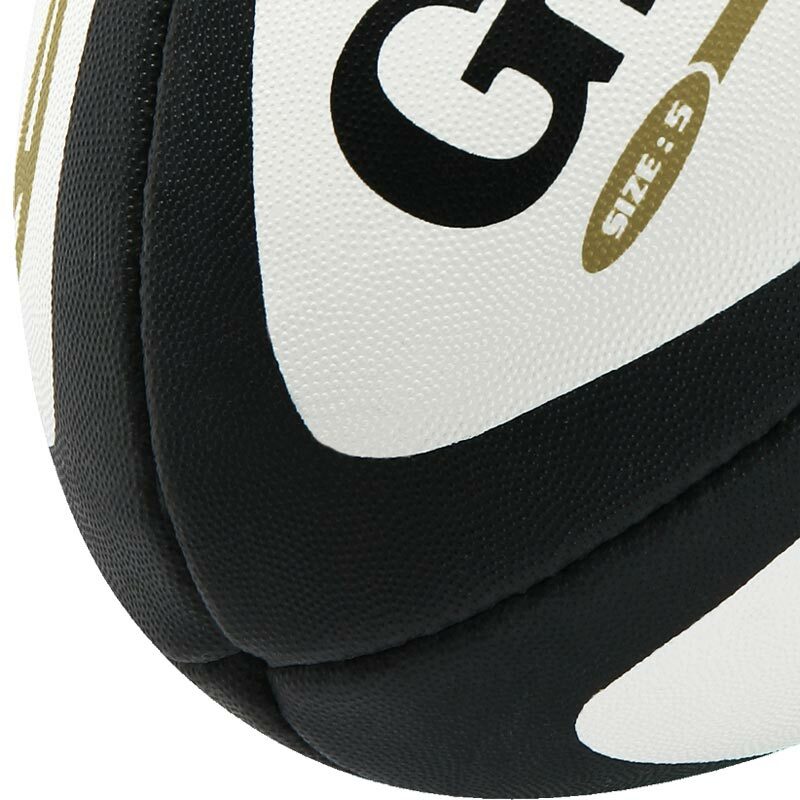 Our club always go for Gilbert Revolution X as our preferred match ball for handling and durability. Newitts always seem to be the best for price and customer service.